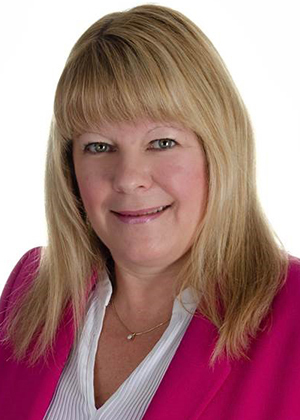 Donna joined Cushman & Wakefield Atlantic in 2007 and has over 28 years of marketing and sales experience in various sectors including retail, entrepreneurship, communications and media and commercial real estate. Prior to joining Cushman & Wakefield Atlantic, Donna owned and operated an RV dealership and truck export company. Previous to this, Donna held the positions of Provincial Promotions Manager and Internet & Digital Entertainment Product Manager with Fundy Communications. Donna also worked with the University of NB, Department of Extension Management Development Program where she customized and delivered two 3 day marketing modules to business professionals. Professional Affiliations: Sales and Sponsorship Committee – Hospice of Greater Moncton, Steering Committee – New Brunswick Community College Alumni and Member – Greater Moncton Chamber of Commerce. Community Leadership: Managed Riverview Ringette and Riverview Minor Hockey teams, chaired the fundraising committee for Riverview Minor Hockey teams, received the following awards for outstanding television production: Kitchener Sales and Advertising Club- Advertiser of the month, the International Design and Excellence in Advertising, and the Television Bureau of Canada – Retail Category winner. Donna also received nation-wide recognition in “Tactics” magazine for creating “I survived the Great White Attack and published poetry in the 2003 edition of the International Library of Poetry…“The Colors of Life”.